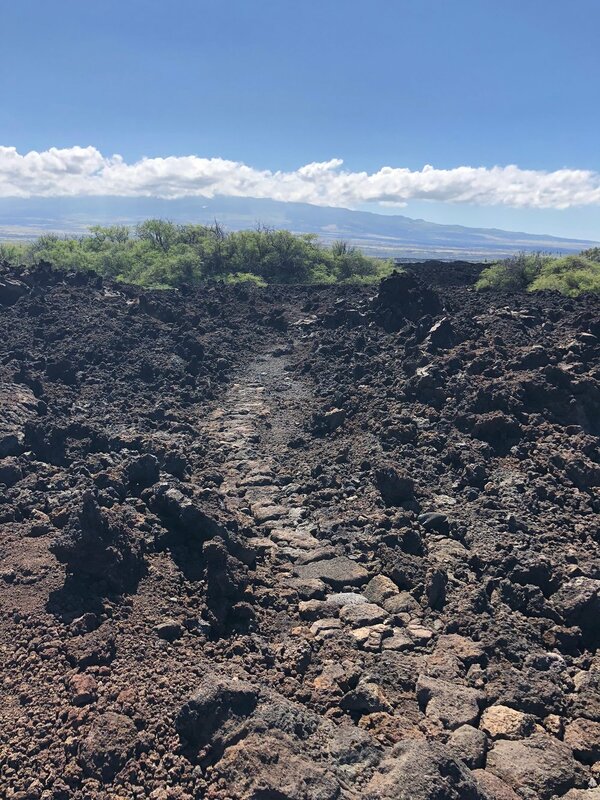 As with many trails in the National Trail System, the Ala Kahakai National Historic Trail is supported by a non-profit organization that provides community assistance for trail management and planning. The Ala Kahakai Trail Association (ATA) was created in 2006 and became a registered non-profit organization in 2008. 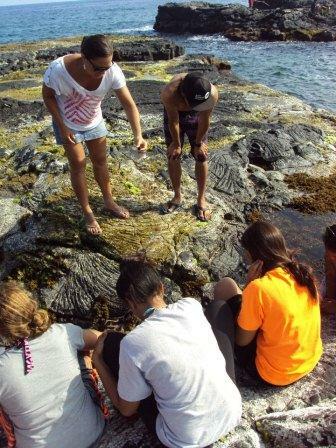 The ATA helps ensure that the Ala Kahakai Trail is well-connected to the community and that Hawaiian values and principles are in place and practiced. We also work to foster various kinds of partnerships and help to guide the work of managing and sustaining the trail. 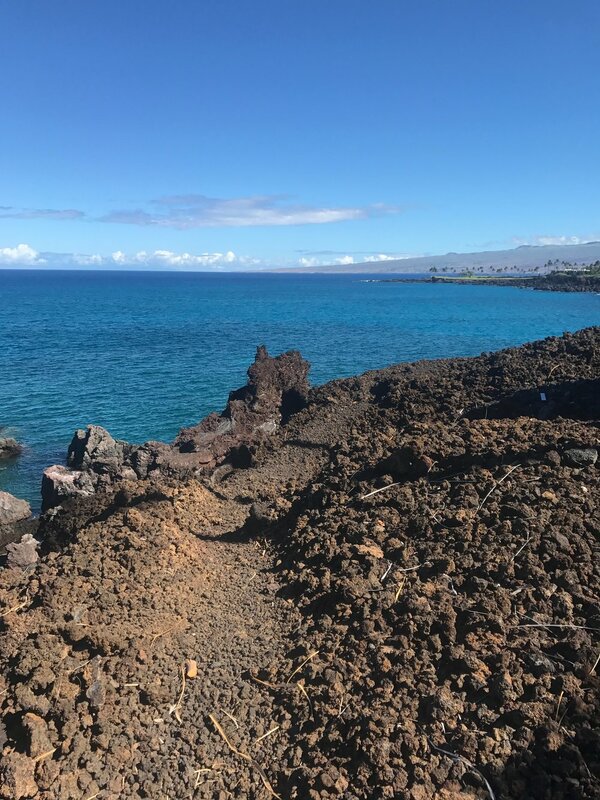 Our vision is that the Ala Kahakai Trail is a viable, appropriately-used and managed trail that follows the path of our ancestors - creating a bridge of understanding, respect and balance for all to use, protect, learn from and appreciate. We invite you to learn more about us, the Trail and its stewardship, and how you can become involved. Youth and their sponsors walking on the lava rock coastal trail. A living classroom along the Ala Kahakai National Historic Trail. The Trail above Honokaope Bay. Photo by Chris Hawkins. An informal trail sign at Honokaope Bay. Photo by Chris Hawkins.